Tomorrow Ricardo Atienza and I are hosting Player Piano Soirée where guests are invited to explore their music skills in an interactive music environment created by us. This event is a part on an ongoing research project that investigates the roles and functions of analogue keyboard instruments in the age of Spotify. 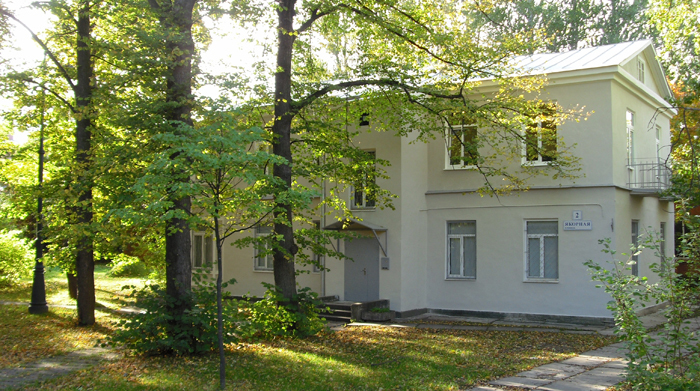 With support of Konstnärsnämnden, Konstfack and Klaverens hus. The First Water, my collaboration with Francisco Vilaplana, will be opening at Fundación Mutua Levante in Alcoy, Spain, 9 May 2019 (Thursday), 20:00. 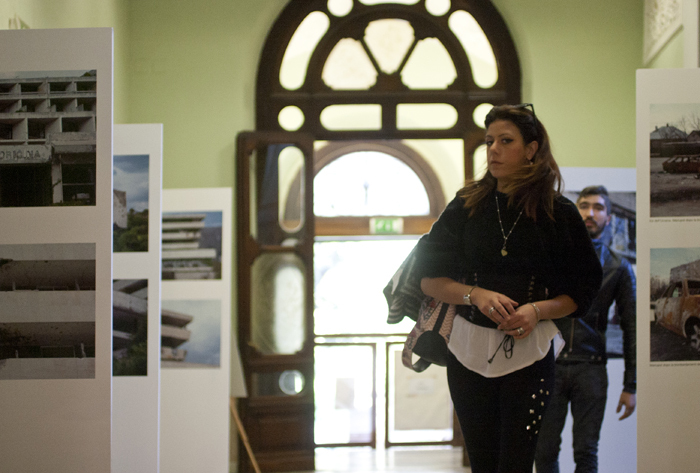 The exhibition will run until 8 June. Welcome! 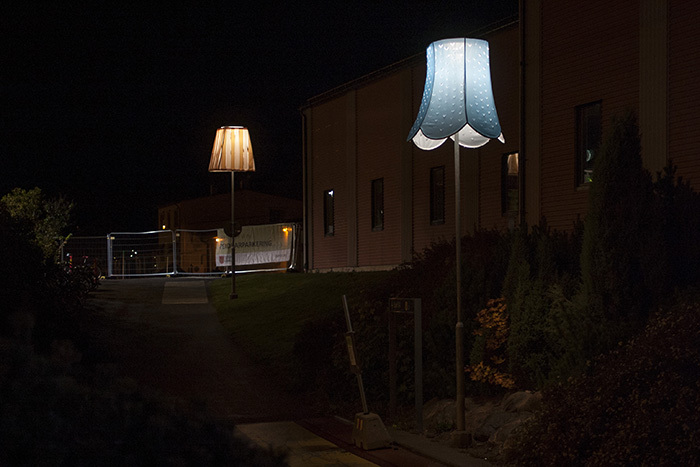 Now a major part of #möbleratierp project has been installed: four oversized "lampshades" are sitting on the lampposts just between the train station in Tierp and Möbeln, town's future culture centre. These are accompanied by a giant armchair and four "rugs" that we have painted right on the asphalt earier this year. And there's fourth element making this "street living room" complete: a 10 seconds clip appears on the big screen attached to the facade of Möbeln 15 times every hour. 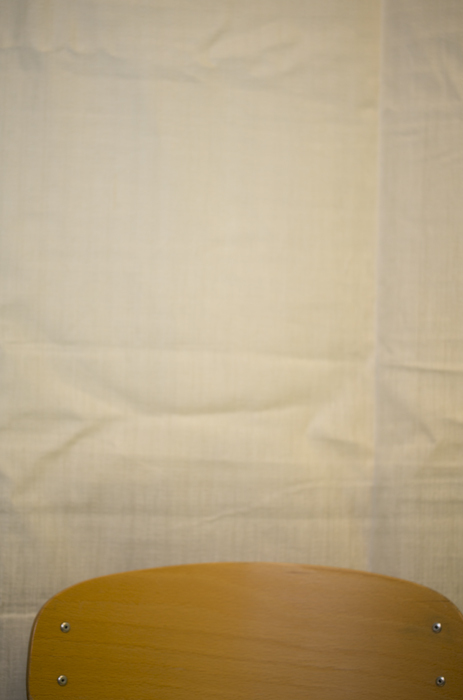 This is my collaboration with a theatre designer Åsa Norling. And you can read more about this work by following this link (in Swedish). in Lövstabruk 1 September, Saturday, between 14:00-18:00.
a project grant we received this year. a theatre designer Åsa Norling. The work on this temporary public art commission linked to a major renovation of Möbeln, Tierp's future culture centre, has started back in 2017. After so many hours of meetings, discussions, presentations, sketching, planning, testing and ordering it's satisfying to see this project finally taking place in "reality". And much more to come! Meanwhile you can read about this work (in Swedish) on the website of Uppsala Nya Tidning by following this link. #möbleratierp has also been covered by SVT Uppsala online and by Sveriges Radio P4. 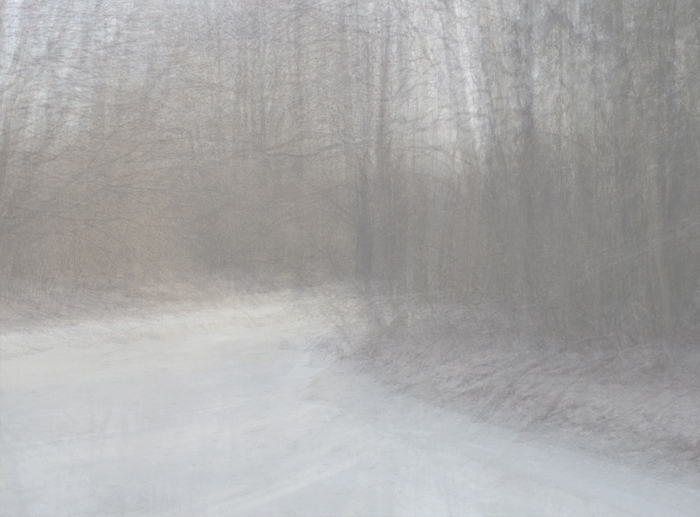 This 107 x 146 cm lightbox - a part of my work called Interpretation of an Ordinary Landscape - is now on permanent display in the library of Tierp (the municipality in Sweden where I’m based). 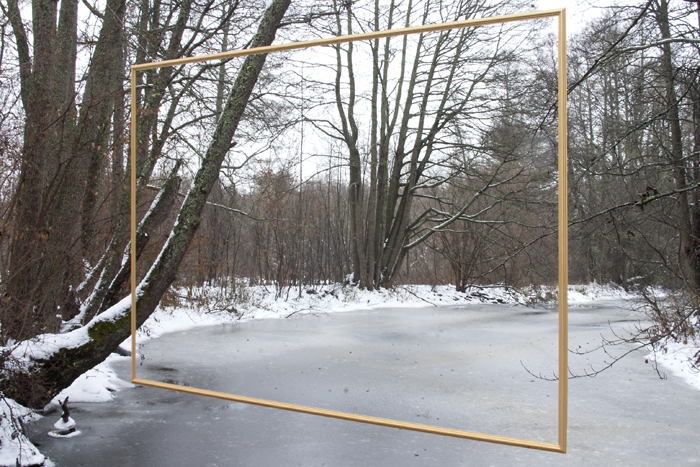 Back in November 2016 my friend Ad van Oostrum helped me to suspend a 137 x 197 cm wooden “gilded” frame over Tämnarån river in Karlholmsbruk, the village where I’ve now been living for 5 years. I then asked some locals and invited guests to meet me by the frame, to look at the landscape they could see through it and “interpret” it for me. What I got was an amazing collection of personal stories - that included some childhood memories, fantasies, scientific facts, cultural references and reflections on quotidian life. I recorded all these voices and presented them in a multimedia installation in August last year. 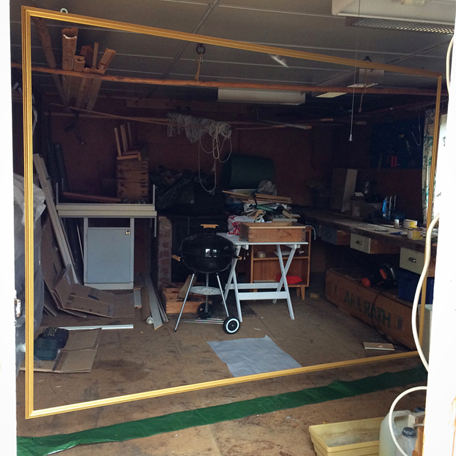 I photographed over a period of 123 days while the frame was in place before being vandalized. 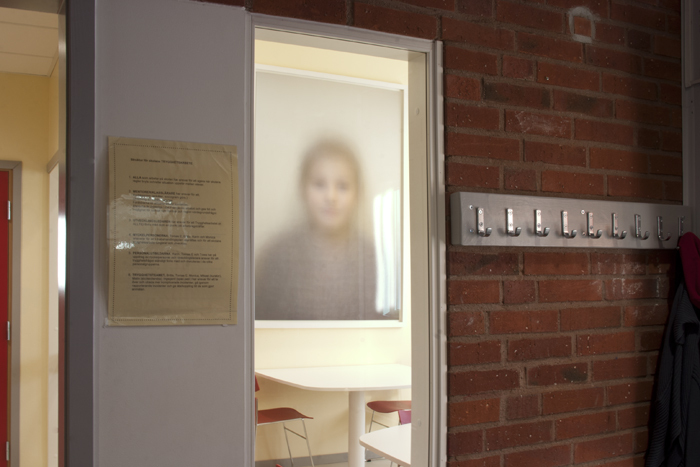 I then superimposed all those photos into one, mimicking a process known as multiple exposure in analogue photography. And the name of the project has been inspired by a collection of essays mentioned by Fergus Heron, my tutor at Brighton University back in 2006/2007. Now that the work is in the municipal collection, I’m looking forward to the day when the complete installation will be set on display in this public space. 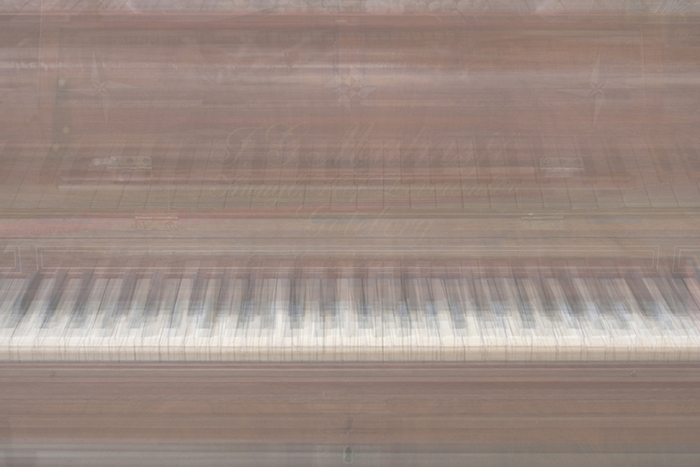 a provisional title Player Piano. 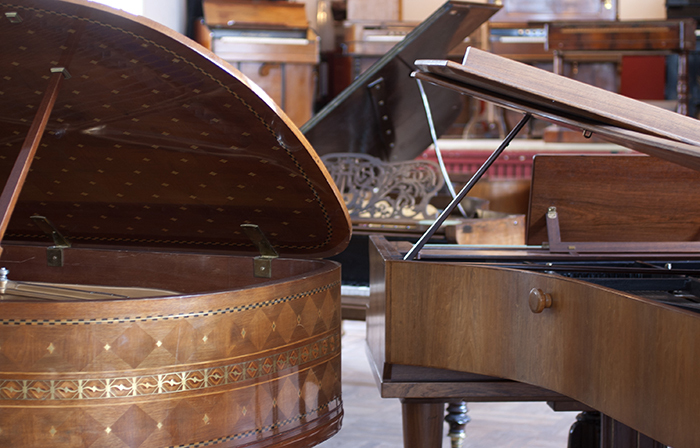 One of our aims is to examine a role of a piano in a contemporary context. For that we would like to talk to those who own this instrument. These people don’t need to be professional musicians, as we’re mostly interested in their experience of owning/using the instrument. If you have a piano at home or know someone who does, could you please help us by sending me an email to hello@pavelmatveyev.com? We would then agree when and how we can meet to record short interviews. The conversations can be taken in a language you (they) are most comfortable with. We speak English, Swedish, Russian, Spanish, French and some Italian. We would be very grateful for your help. If you're in Central Sweden around Easter, my work 38 Views of Blanca from Centro Negra will be on show in my living room 30 March - 2 April 11.00-17.00. The work has been produced in April 2017. More details are here (click on the link, in Swedish). The last print from this size edition is available. 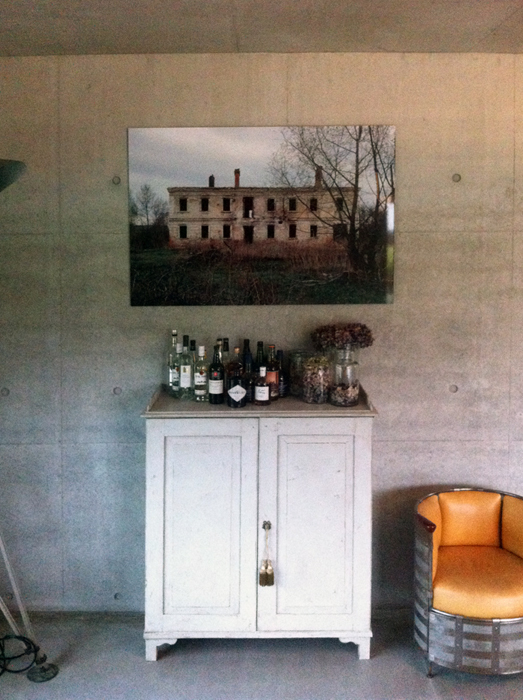 This is a pigment print on Somerset photo 100% cotton paper; image is 18,6 x 26 cm. 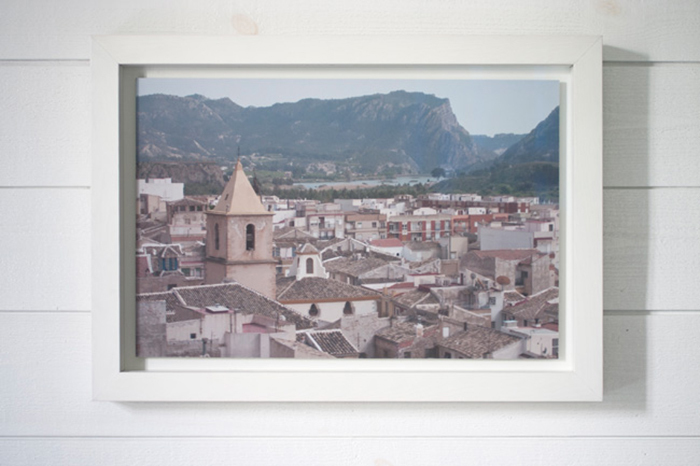 The print is float mounted on 2 mm aluminium and framed with 2 mm "artglass". Signed, stamped "Pavel Matveyev" and numbered "1/1" in black pen, dated "framed 2017" on the reverse of the mount. This is unique edition, please contact me for price details. at La Sapienza Università di Roma, Facoltà di Lettere e Filosofia in Italy. 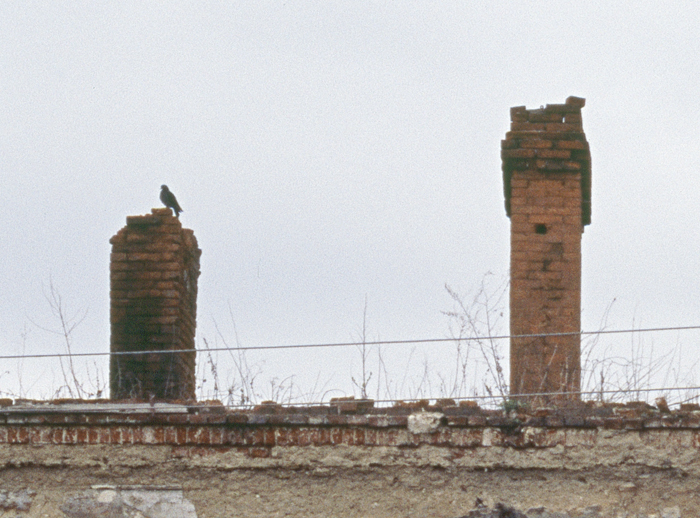 The exhibition presents two series of photographs from two zones affected by military actions. The first series is the Kupari Resort in Durbovnik, Croatia, which I photographed for Radio Liberty last year. 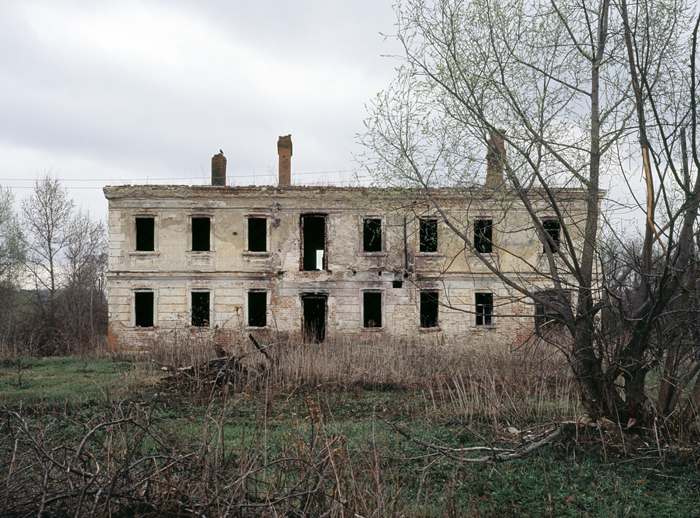 The second series is from the war zone in eastern Ukraine, photographed by a historian and journalist Anton Naumlyuk. 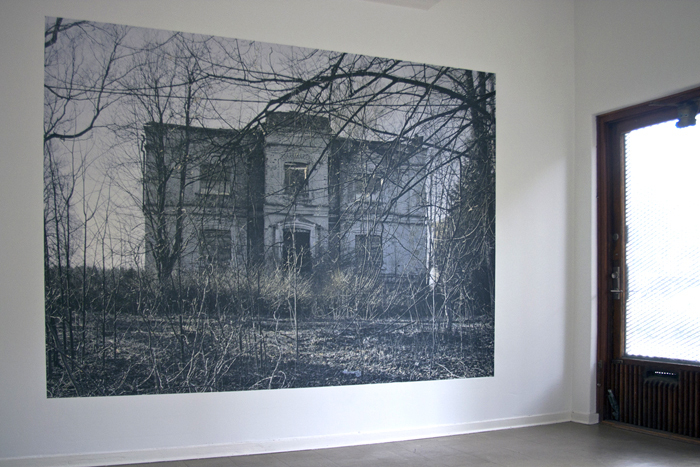 The exhibition curated by Elena Fanailova is open until 10 Nov at Villa Mirafiori. Welcome! My latest collaborative project With Everyone's Imagination Atrophied, No One Will Ever Be a Threat to the World #5 is on display at Designgalleriet in Stockholm until 27 October. The gallery is open Mon-Fri 11-18, Sat 11-15. With Daria Makarenko. Welcome! Vernissage for With Everyone's Imagination Atrophied, No One Will Ever Be a Threat to the World #5 at Designgalleriet in Stockholm is on Thursday 5 October from 17:00. Welcome! 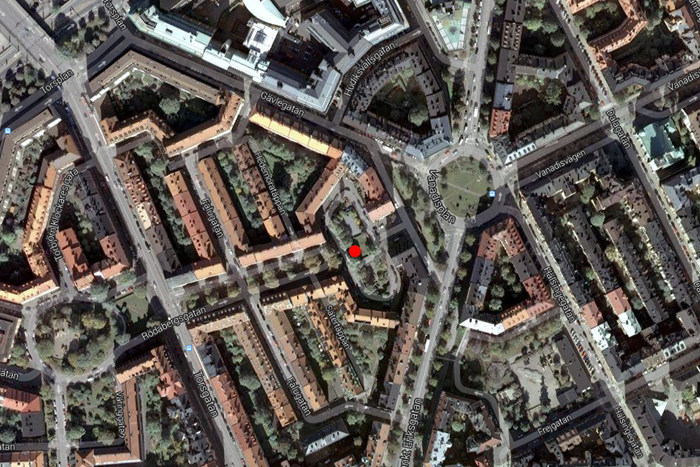 Save the date: 5 October, Thursday, Designgalleriet, Stockholm. Opening of an exhibition showing my new work and an exciting collaboration. Details to follow. Kronstadt Stories-2. 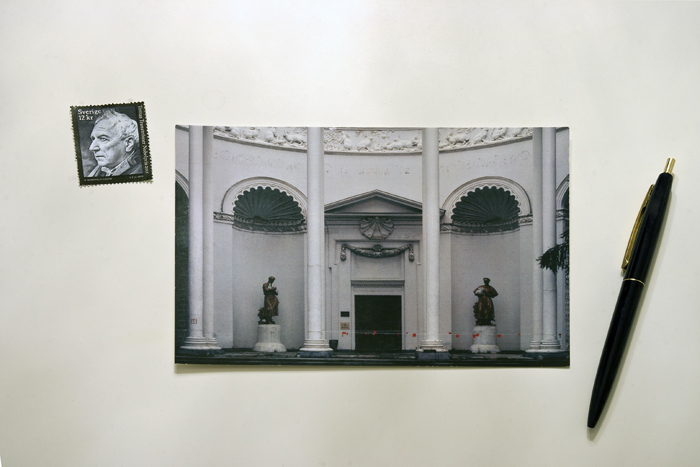 Archive curated by Elena Gubanova (RU) opens in the Poterna exhibition hall of the Peter and Paul Fortress in Saint Petersburg 7 June 16:00. The exhibition will run until 2 July. More information here. Выставка "Кронштадтские истории-2. Архив" (куратор - Елена Губанова) откроется в потерне Государева бастиона Петропавловской крепости в Петербурге 7 июня в 16:00. Продлится выставка до 2 июля. Добро пожаловать! Save the date: 12 August, Saturday, noon, Tierp library. 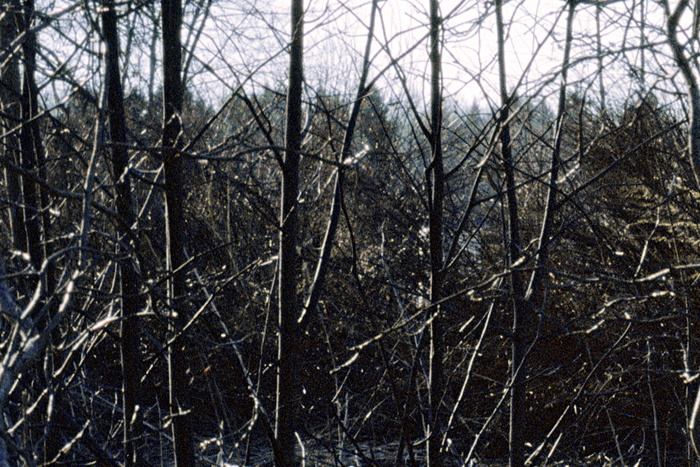 Vernissage for the Interpretation of an Ordinary Landscape. See you in the darkness of a summer noon, in the realm of rustle and whispers. The exhibition will run from 10-26 August. 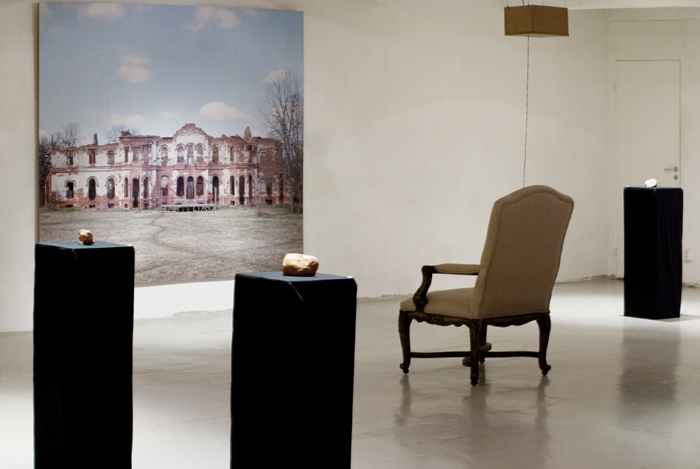 Kronstadt walk produced during the NCCA residency in June 2015 will be a part of the exhibition Kronstadt Stories-2. Archive in the postern of the Peter and Paul Fortress in Saint Petersburg in June 2017. Exhibition dates will be confirmed in due course. В июне в потерне Государева бастиона Петропавловской крепости в Петербурге пройдет выставка "Кронштадтские истории-2. Архив", частью которой станет моя работа "Прогулка по Кронштадту". Даты выставки сообщу дополнительно. Работа была создана во время пребывания в арт-резиденции Государственного центра современного искусства (ГЦСИ) в Кронштадте в июне 2015 г. 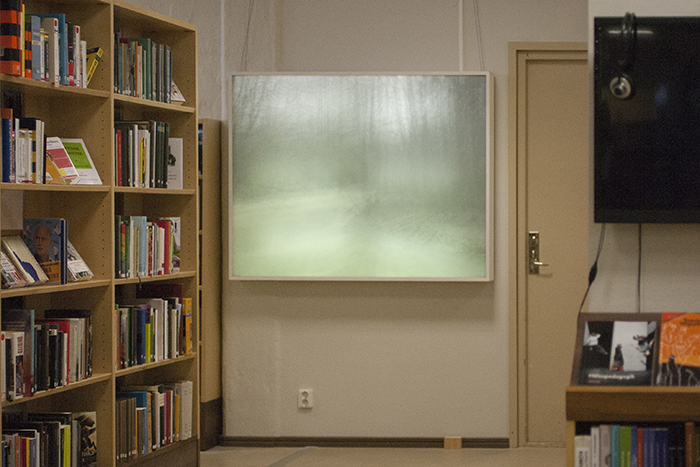 Welcome to the exhibition Interpretation of an Ordinary Landscape in Tierp library in August. Vernissage date will be confirmed. I am pleased to share that I have been selected as an artist-in-residence by AADK Spain. This means that I will be staying at their Centro Negra residency in Blanca, Murcia, in April. 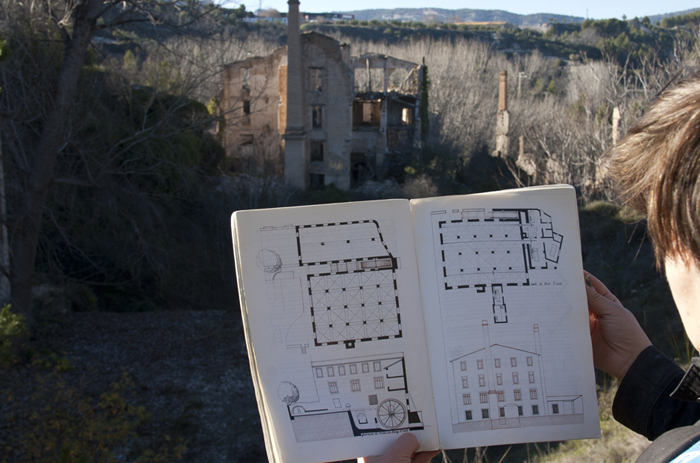 My plan is to continue working on the project The First Water in Molinar valley outside Alcoy and to produce a site-specific work in Blanca. If you are in the area then, please do get in touch! It sometimes strikes me how some things accidentsally found in the abandoned places look like elaborate, thought-through art projects. Earlier this week my friend Björn and I ended up inside Karlit – a major factory in Karlholmsbruk, a village where I spend in average half of my time; the factory has been closed five years ago. 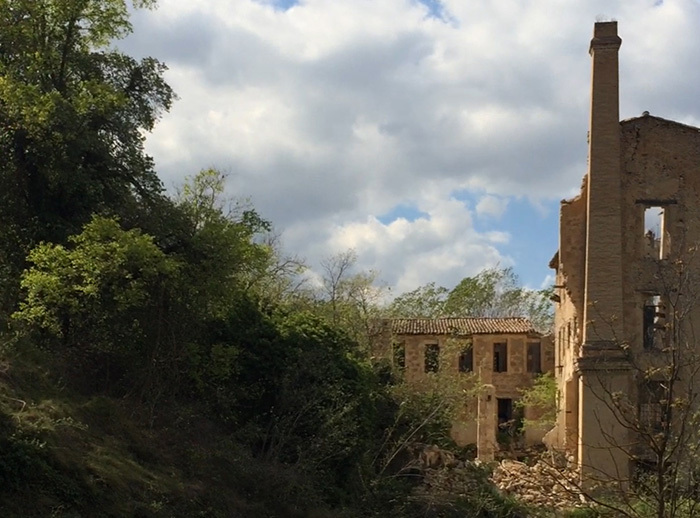 The buildings are currently being put down and it felt surreal to walk through some of them being totally deserted, with the "skeletons" of the structures being exposed in some places and the grand machinery being still – and silent. The area is currently being redeveloped into an ambitious project, Karlholm Strand, with a plan to build new apartments and villas just be the sea. And while that might happen in the future, now Karlit stands as a memorial to the Swedish industry, with its "galleries" stuffed by some amazing objects and only the sounds of random pigeons and dripping water filling these once noisy workshops and halls. A great find for this research trip was a thesis Arquitectura e industria. Un ensayo topólogico de los edificios fabriles de L'Alcoià written by an architect Vicente Manuel Vidal Vidal. We borrowed this book from the city library of Alcoy and it was a great imagination activating exercise to explore the ruins of Molinar valley with this publication at hand. Felt like a detective trying to reconstruct the events that had no witnesses. With my "partner in crime" Nathalie Wuerth. Some spontaneous singing and not so random memories and speculations in a place that might have not heard any singing for quite a while. 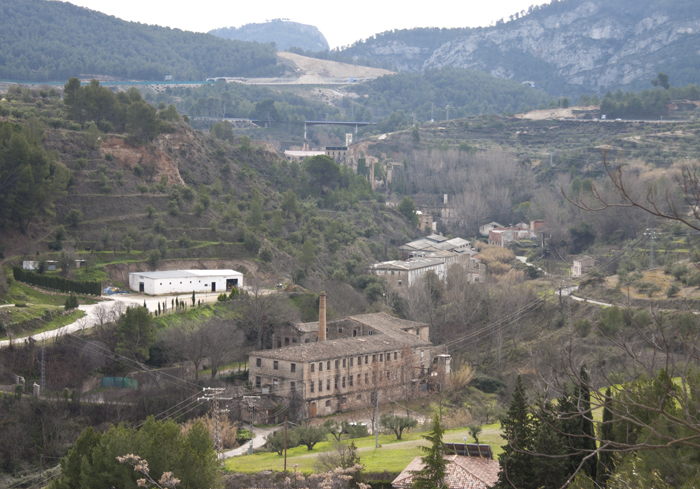 Yesterday we walked down from Alcoy to Molinar: the route that the workers engaged at the factories in the valley could take back in time. It’s about 1,5 km walk starting on the narrow streets of the city and revealing some beautiful vistas once we were out of Alcoy. We found a spot from which a photo of the valley was taken a century ago and couldn’t miss the opportunity to take our own. 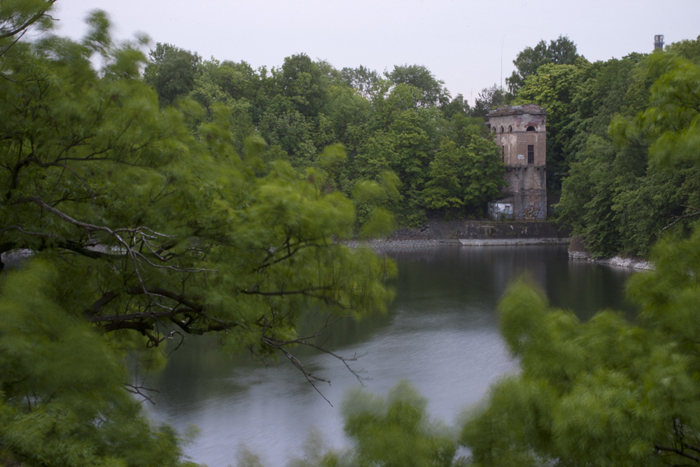 The first industrial developments in the valley date back to the medieval times when some flour mills were built here close to the running water – the main source of energy then. The flourmills were eventually rebuilt into paper and then textile factories following the local trends of industrialization. If one would be looking at the valley a century ago, they could see a dozen of busy factories in front of them. 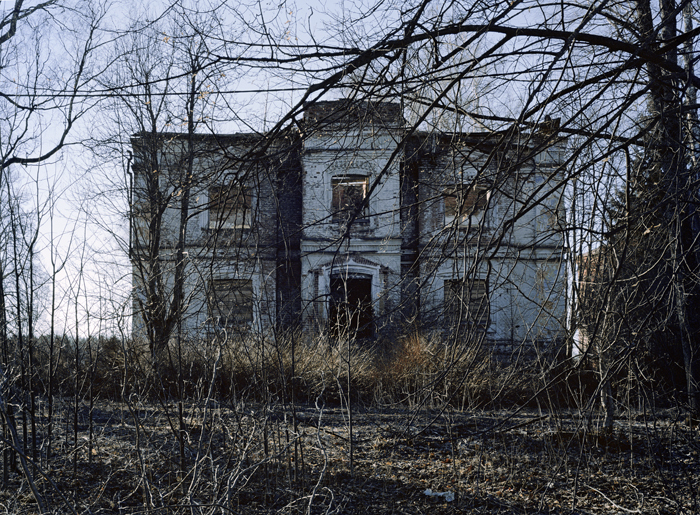 All of them are now abandoned and in different states of decay – from some buildings just being empty to some structures being so derelict (and taken over by nature) that it’s often impossible to imagine their initial shape. 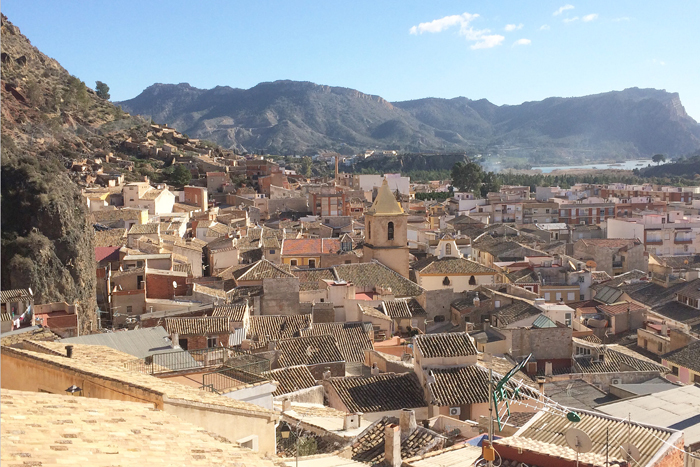 Arrived to Alicante in the afternoon 31 December and drove to Muro de Alcoy. At dusk had a fantastic walk with Fran around the top of Molinar valley outside Alcoy where a number of paper and textile factories were active a century ago; now a realm of romantic ruins. The next step would be to visit the local library and archive and try to find more documented evidence of those processes that contributed greatly to the Spanish industrialization. Had some inspiring discussions with Fran whose grandfather was apparently involved in the paper industry here. 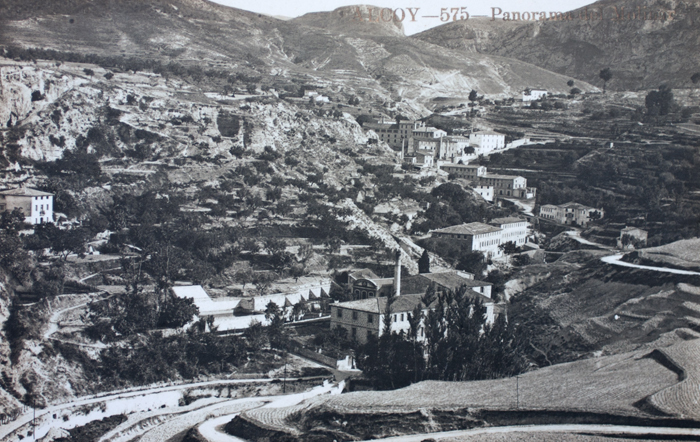 Later today we'll try to find the point where this picture was taken around 100 years ago and compare the view. 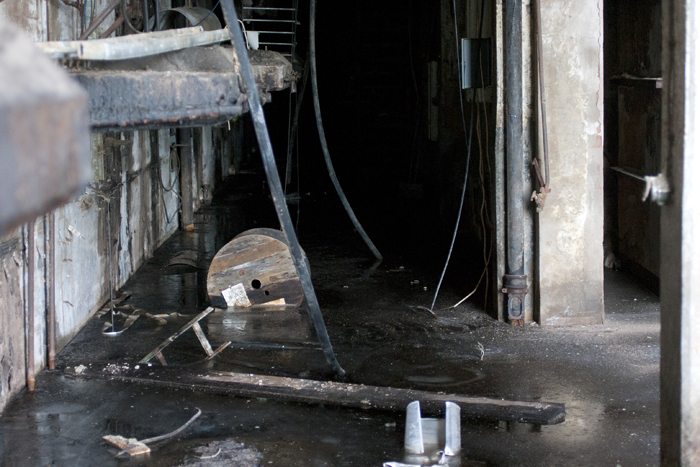 Tomorrow we'll try to activate the space of Els Solers factory with some music. The project has got its working title The First Water, after the name of the area we're currently focusing on. The trip is supported by Iaspis, the Swedish Arts Grants Committee's International Programme for Visual and Applied Artists. 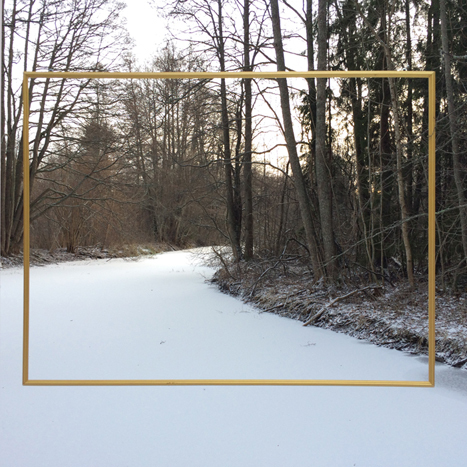 Interpretation of Ordinary Landscape has been in place for 24 days and so far I had four "readings". 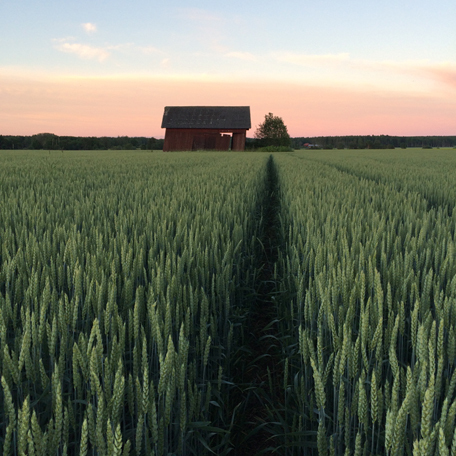 Later this month a professor from Uppsala University is coming to Karlholm to interpret the landscape from his perspective. Interpretation of Ordinary Landscape is now installed and I've started contacting locals. Hopefully the first meeting will happen already this week. Please do not hesitate to email me if you'd like to come and interpet this landscape. to "read" that landscape for me. The result wll be on display at the exhibition space of Tierp library for three weeks in August 2017. One more new item in the Prints section of this website! в раздел Prints этого сайта. I've updated the Prints section of this website with the image on the left, the item is currently available for sale. Обновил раздел Prints этого сайта, добавив вот эту фотографию; отпечаток - в наличии. 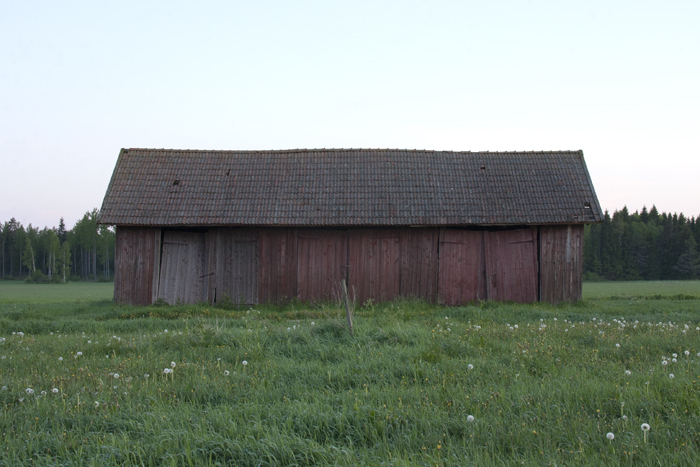 a talk about the history and modern interpretation of barns in Sweden and abroad (in Swedish). Добро пожаловать на закрытие выставки "49 сараев Тьерпа" в выставочном пространстве при библиотеке Тьерпа 27 августа (суббота) в 12:00. Во время закрытия с лекцией об истории сараев и их современной интерпретации в Швеции и других странах выступит Ксавье Саладин, архитектор стокгольмского бюро LINK Arkitektur. Лекция - на шведском языке. 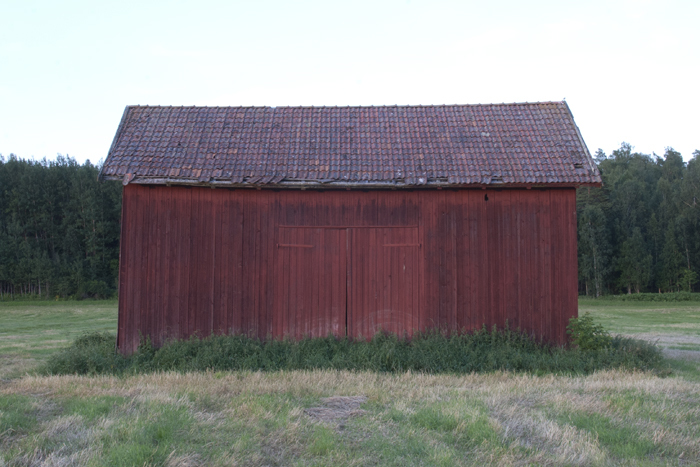 49 barns around Tierp / 49 lador kring Tierp 9 August (Tuesday) 16:00 at the exhibition space of the Tierp library. You can read a little bit more about the project by clicking on the link (in Swedish). в 16:00. По ссылке можно почитать о проекте более подробно на шведском. 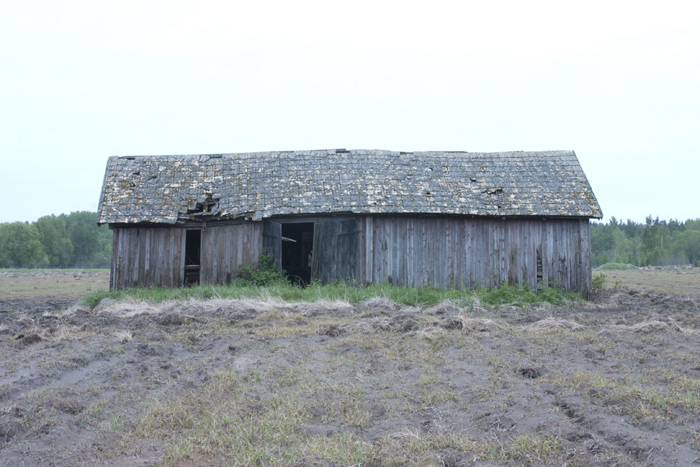 49 barns around Tierp project. 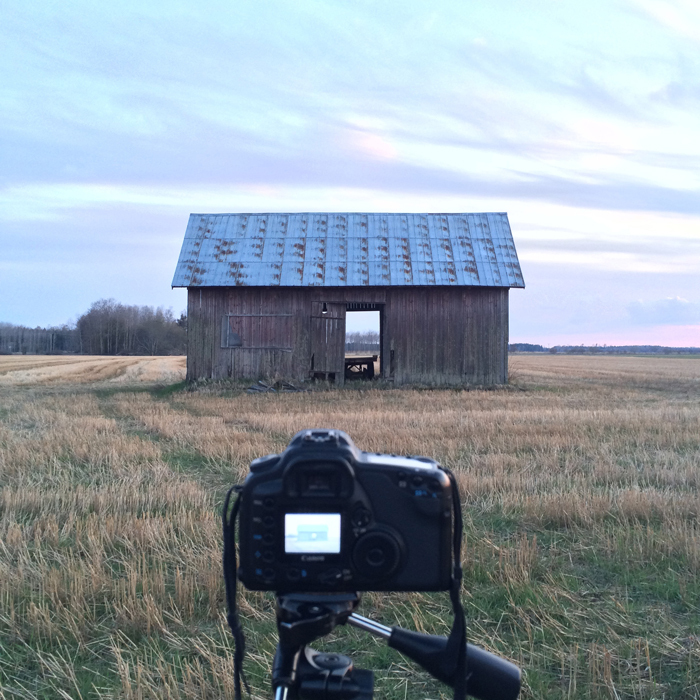 So far I have approached 40 barns, this snap shot on the left depicts barn 38 from a distance. And here comes the link to the program La Casa del Sonido on Radio Clásica, part of Radio Nacional de España (Spanish National Radio), aired 31 May. 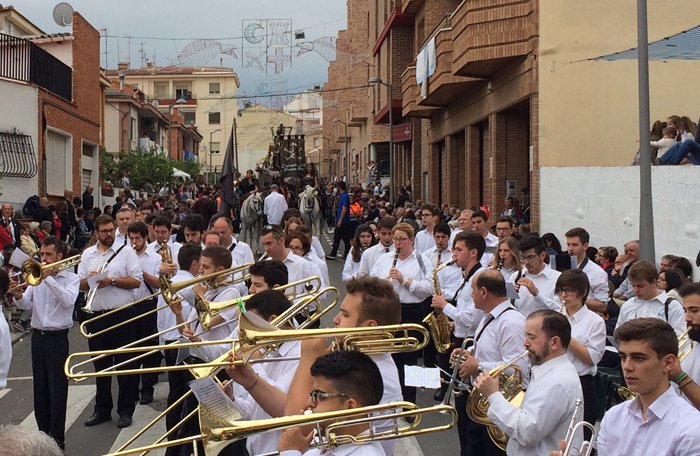 The program featured a fragment of the recordings I made at the Moors and Christians festival in Muro de Alcoy earlier that month. To listen to the program click on the link to the left. If you're in Spain on Monday 30 May, you can listen to the program La Casa del Sonido on Radio Clásica, part of Radio Nacional de España (Spanish National Radio). The program starting 1:00 am (the night from Monday to Tuesday) will feature a fragment of the recordings I made at the Moors and Christians festival in Muro de Alcoy earlier this month. The program will be available online on Tuesday 31 May, and I'll post the link that day. El lunes 30 de mayo a la 1 am de la madrugada podréis escuchar el programa La Casa del Sonido en Radio Clásica. El programa ofrecerá un fragmento de las grabaciones que realicé en las Fiestas de Moros y Cristianos de Muro el pasado mes de mayo. El programa estará disponible online el martes 31 de mayo para aquellos dormilones. This week I got to know that I had been awarded the culture stipend given by Tierp municipality (Tierps kommun kulturstipendium). I am so happy that I will now have some time and resources to realise a site-specific project in the area where I live and that I love. на полдень субботы 27 августа. с небольшой лекцией выступит Ксавье Саладин, архитектор стокгольмского бюро LINK Arkitektur. in Tierps Konsthall weeks 32-34. Vernissage and exhibition dates are TBC, stay tuned. в которые будет открыта эта выставка, сообщу дополнительно. Just a shot of 257 schoolmates at Bergby School work installed at Bergby school in Gävle county. Просто снимок работы "257 школьников Бергбю", установленной в школе в Бергбю в муниципалитете Йевле. My first public art project is now complete! The work 257 schoolmates at Bergby School has been revealed 27 January. You can read the reviews of this work here and here (both are in Swedish). Мой первый public art проект завершен! Работа "257 школьников Бергбю" была представлена публике 27 января. Вы можете ознакомиться с рецензиями на этот проект здесь и здесь (обе - на шведском). My first public art project is in its final stage. The work 257 schoolmates at Bergby School will be installed late January - early February. Meanwhile I am developing my next project. Wishing you Merry Christmas and Happy New Year! Мой первый public art проект находится в завершающей стадии. Работа "257 школьников Бергбю" будет установлена в конце января - начале февраля. Тем временем я работаю над своим следующим проектом. Поздравляю вас с наступающим Новым годом и желаю счастливого Рождества! It's been a very busy week: my first public art commission went into its executive stage. After testing some technical aspects in the domestic environment last week (thank you, friends, for your enormous support! 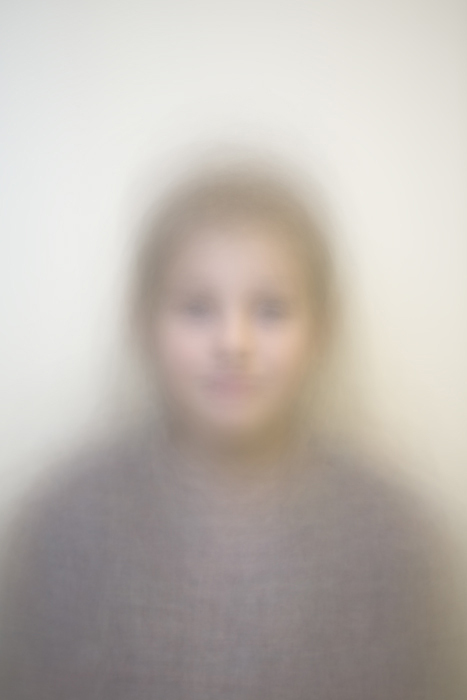 ), I have now moved "in the field": in three days I've photographed 243 pupils of Bergby school outside Gävle where the piece will be placed later this year. A little bit more photographing is to come. Curious what the work will look like in the end? Stay tuned! Неделя выдалась напряжённая: приступил к реализации своего первого public art проекта. Техническую часть я протестировал в домашних условиях на прошлой неделе (благодарю друзей за невероятную поддержку! ), а на этой начал работу в "походных условиях": за 3 дня сфотографировал 243 ученика школы в Бергбю неподалеку от Йевле. Еще одна небольшая фотосессия мне там ещё предстоит. А ближе к концу года в школе будет размещена и сама работа. Интересно, как она будет выглядеть? Следите за новостями! in the Art section. For the full effect use headphones. With special thanks to Seth S. Ellis and Ms Tatiana Matveyeva. на сайт. Прослушать файл можно, перейдя в раздел Art (верхняя запись), для прослушивания рекомендую использовать наушники. Версия на английском появится здесь в скором времени. You can now listen to the "bonus track" Seth S. Ellis and I recorded in one of the last days of our NCCA residency in Kronstadt (follow the link on the left). 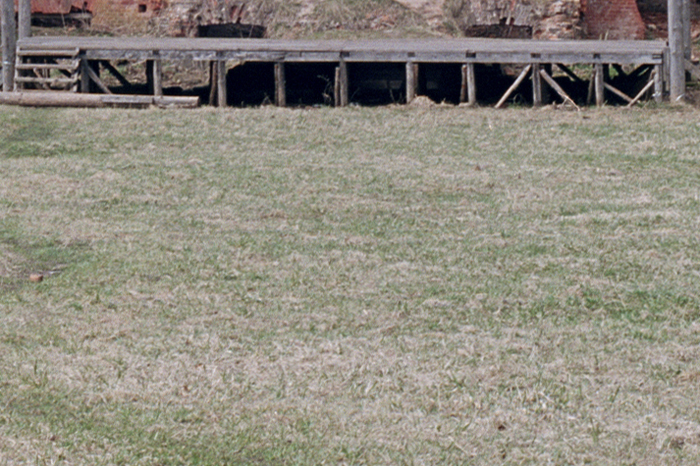 The recording is a result of Alvin Lucier's I Am Sitting in a Room work (1969) re-enactment, performed 27 June 2015 in an abandoned building of Kronstadt's dry dock. 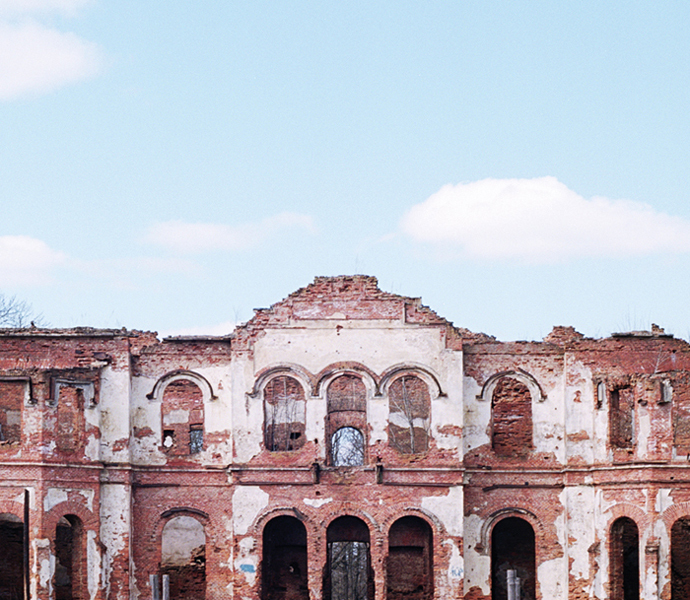 These are the last days of my NCCA residency in Kronstadt. to release soon. Stay tuned! It was the second day of my NCCA residency in Kronstadt and so far I am finding this place puzzling and some of its sites (like the one on the left) mesmerizing. Writing down my ideas and sketching the work I am aiming to present later this month. I'm launching the second edition of the instruction cards for the project I Wanted You to Feel the Same (information on the work is on the Art page). If you would like to take part in it and perform an action I am suggesting, please send your address to hello@pavelmatveyev.com and you will get an instruction card by post. 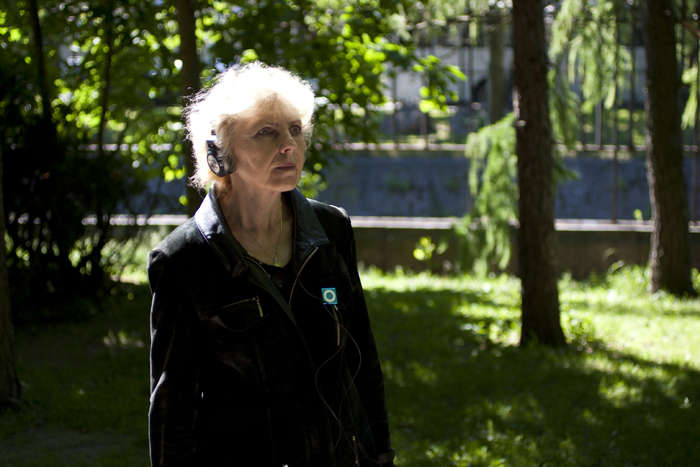 The action is to be performed in Stockholm in May-August 2015. 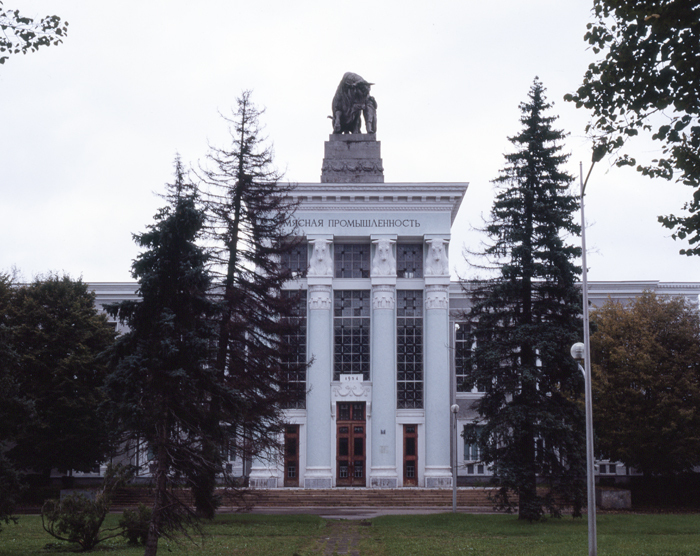 I've been selected by the NCCA (National Centre for Contemporary Arts) expert council to participate in the artist-in-residence program in Kronstadt (district of Saint Petersburg) in June this year. в г. Кронштадте. Период резиденции - с 1 по 30 июня этого года. So What? is a new blog about Stockholm's art life. The first entry is my review of Andres Serrano's exhibition Redemption at Fotografiska. 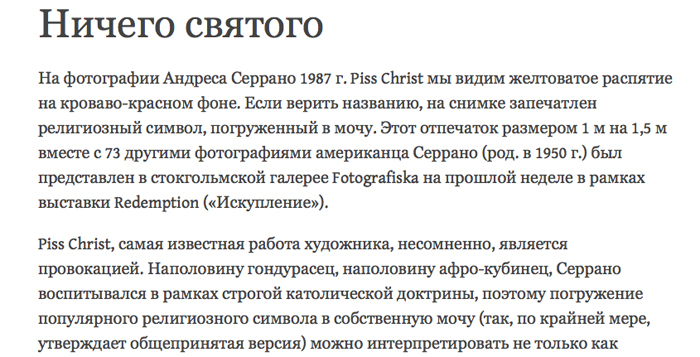 The blog is currently in Russian only. So What? (Ну и что? Что с того?) - это новый блог о том, что происходит в сфере искусства в Стокгольме. Первая запись - моя рецензия за выставку Андреса Серрано Redemption ("Искупление") в Fotografiska. Пока блог существует только на русском. Выступлю с докладом на конференции "Руина, фрагмент, кристалл: о целом и едином в современной теории и практике искусства", организуемой факультетом свободных искусств и наук Санкт-Петербургского государственного университета (СПбГУ) 9-10 апреля 2015 г. 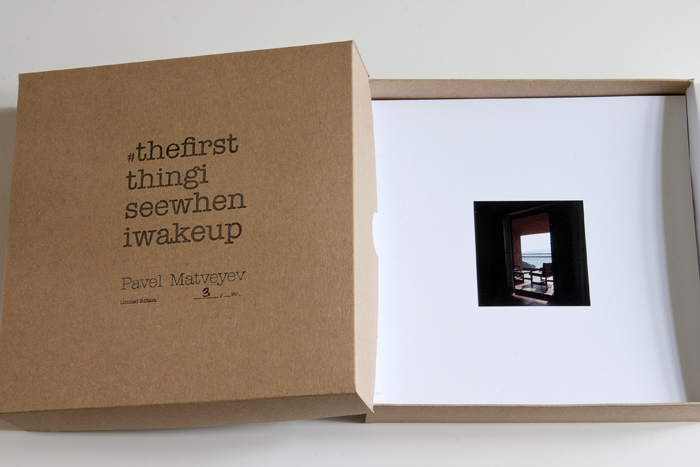 This week a copy of #thefirstthingiseewheniwakeup artist's book goes to Munich. На этой неделе отправляю экземпляр "книги художника" #thefirstthingiseewheniwakeup в Мюнхен. at Universidad Autonóma de Madrid (Facultad de Filosofìa y Letras). 2-5 декабря в Мадридском автономном университете (факультет искусств). of the II International Conference "Sound and Audiovisual Spaces: Sensory and Active Experimentation" in Madrid. 2-й международной конференции "Звук и аудиовизуальные пространства: сенсорное и активное экспериментирование". Подробности последуют. a Threat to the World #4 in Studio 17 (Stavanger, Norway). Welcome! мою работу "Когда воображение атрофируется у всех, никто больше не будет угрожать миру #4" в галерее Studio 17 (Ставангер, Норвегия) можно будет 11-14 декабря. Добро пожаловать! a sound and audiovisual spaces conference. 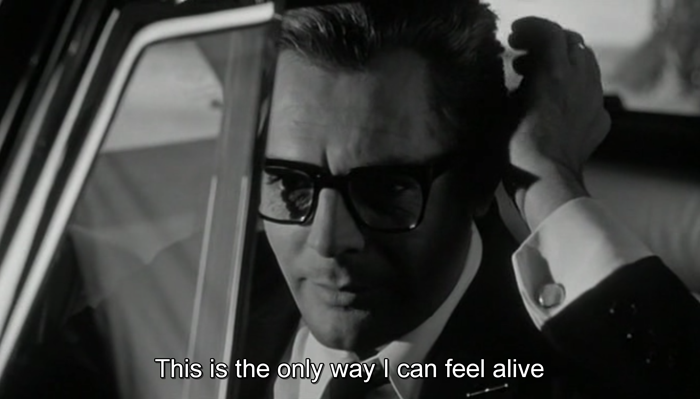 Finding inspiration in one of my favourite films, Fellini's 8½. и аудиовизуальным пространствам. Нахожу вдохновение в одном из своих самых любимых фильмов, "8½" Феллини. This week Radio Clásica station (part of Radio Nacional de España, RNE, Spain's national public radio service) broadcasted José Luis Carles' weekly programme La casa del sonido. The programme featured the presenter's report on the Re(s)on-Art conference held in Stockholm last month. I participated in the conference with my project I Wanted You to Feel the Same #1. If you understand Spanish, please listen to the programme (link is on the left). From 42:50 you can hear the presentation of my work, followed by documentation kindly provided by Ricardo Atienza. 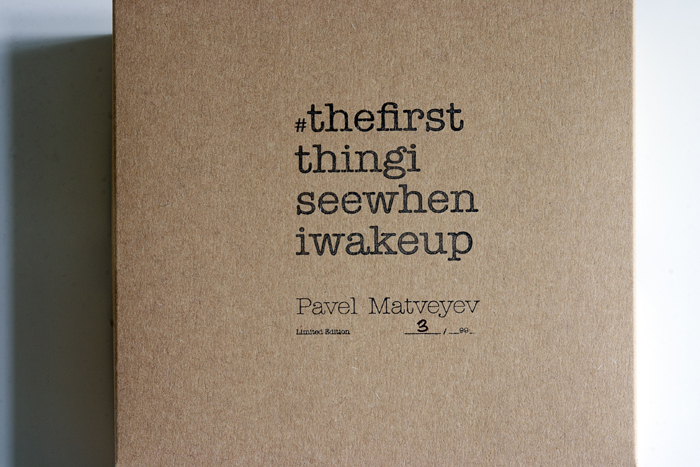 Another copy of #thefirstthingiseewheniwakeup artist's book has got its owner. Limited edition of 99, each is numbered by the artist. The book is available via Konst-ig store in Stockholm. Еще один экземпляр "книги художника" #thefirstthingiseewheniwakeup обрел владельца. Тираж 99 экземпляров, каждый пронумерован художником. Приобрести книгу можно в стокгольмском магазине Konst-ig. 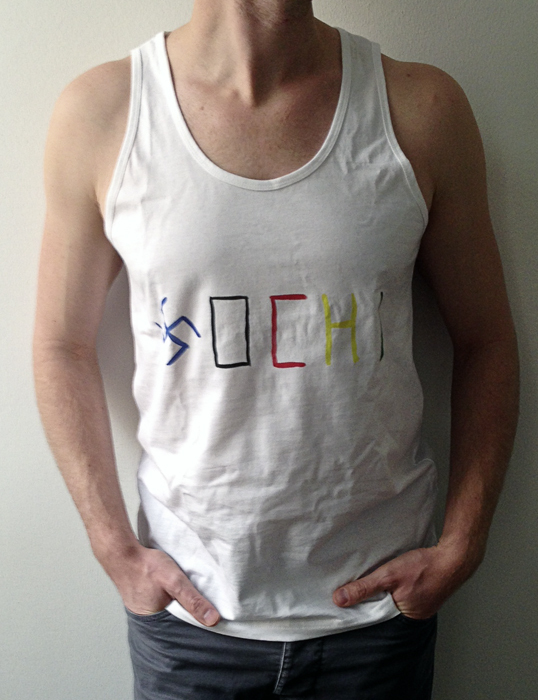 One more t-shirt from the Untitled project has become a part of a Swedish private collection. 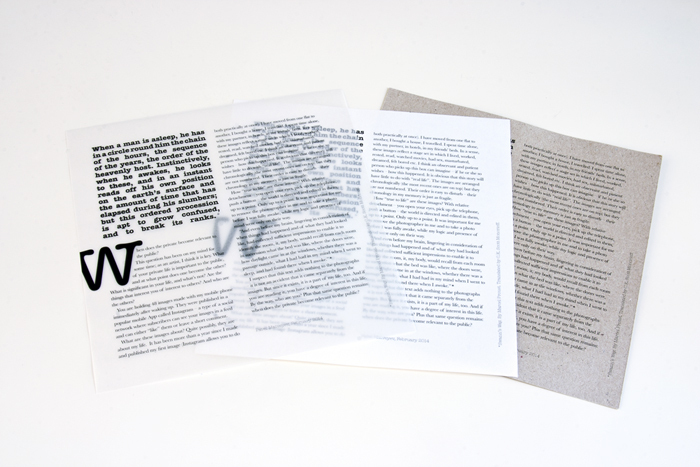 Edition of 25, each is numbered by the artist. Еще одна футболка из проекта "Без названия" стала частью частной шведской коллекции. Тираж 25 экземпляров, каждая пронумерована художником. 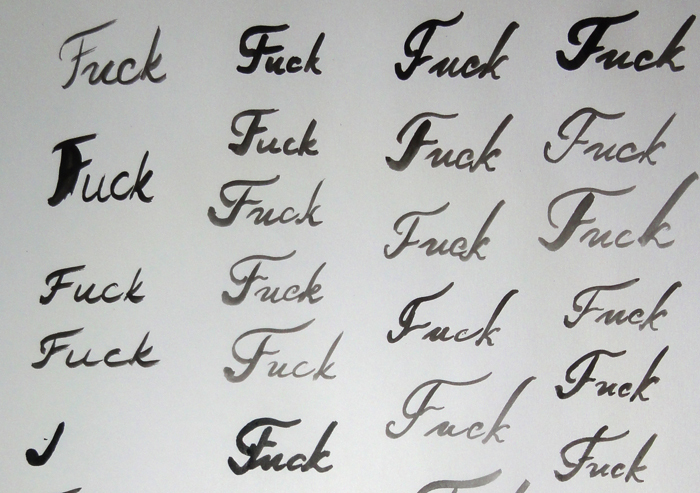 I've started a new project, of which I have a very vague idea (but in my case it always starts like that). 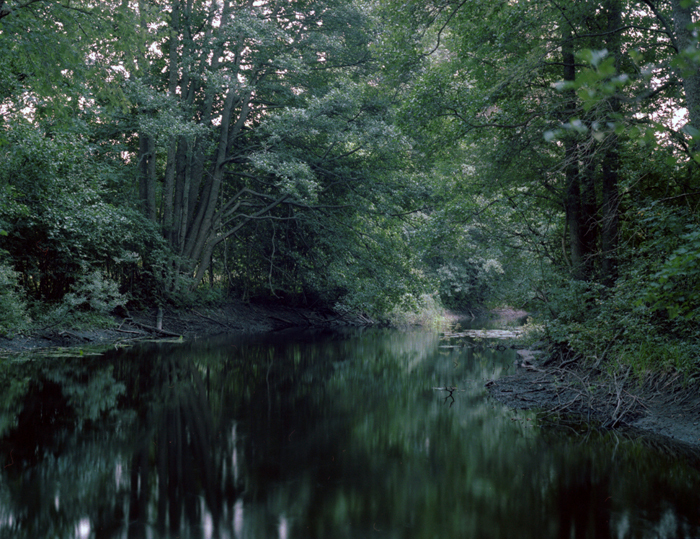 For now I only have a series of images like the one here and the sentence: "I am an eye on the bottom of this river". Начал новый проект, о котором у меня пока очень смутное представление (но в моем случае все обычно так и начинается). Пока у меня есть серия фотографий вроде той, что представлена здесь, и предложение: "Я – глаз на дне этой реки". In December I'll be showing my new work, With Everyone's Imagination Atrophied No One Will Ever Be a Threat to the World #4, in Stavanger, Norway, in a space called Studio 17. Details are to follow. В декабре буду показывать свою новую работу, "Когда воображение атрофируется у всех, никому не захочется переделывать мир #4", в Ставангере, Норвегия, в галерее Studio 17. Подробности последуют. In September I'll be participating in Re(s)on-Art event in Stockholm with my new work I Wanted You to Feel the Same #1. Details are to follow soon. В сентябре участвую в стокгольмском мероприятии Re(s)on-Art со своей новой работой I Wanted You to Feel the Same #1. Подробности последуют чуть позже. 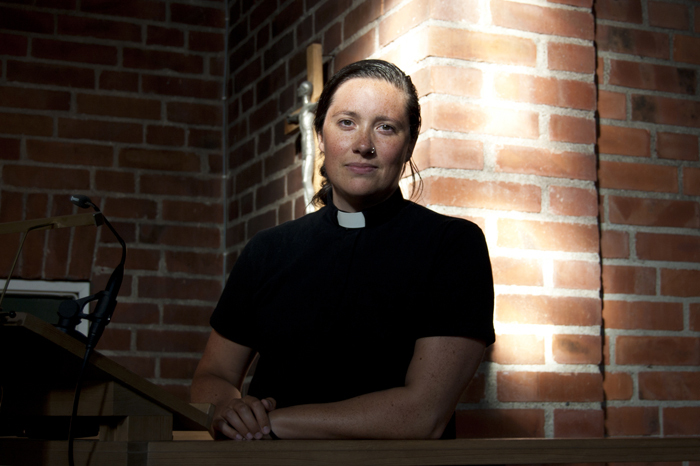 Today The Village published an interview with Rebecka Tudor, a priest at Mälarhöjden's church and an open lesbian. I have photographed Rebecka for this feature. You can access it by following this link (in Russian). Сегодня сайт The Village опубликовал интервью с Ребеккой Тюдор, священником церкви Мелархёйден и открытой лесбиянкой. Я сфотографировал Ребекку для этого материала. Прочитать интервью можно, проследовав по ссылке. Imaginary Life, a network of creative thinkers, doers and makers, has reviewed my latest work, With Everyone's Imagination Atrophied No One Will Ever Be a Threat to the World #3, that is currently on display at Cigarrvägen 13 in Stockholm. "Whether this is a questioning of an image-making, a nostalgic longing for a meaningful contemporary cultural identity, or a personal coming-to-terms-with-history, Matveyev captures your heart through your senses with a sensitive and elegant intervention." Next week I am showing my new work With Everyone's Imagination Atrophied No One Will Ever Be a Threat to the World #3 at Cigarrvägen 13 in Stockholm. 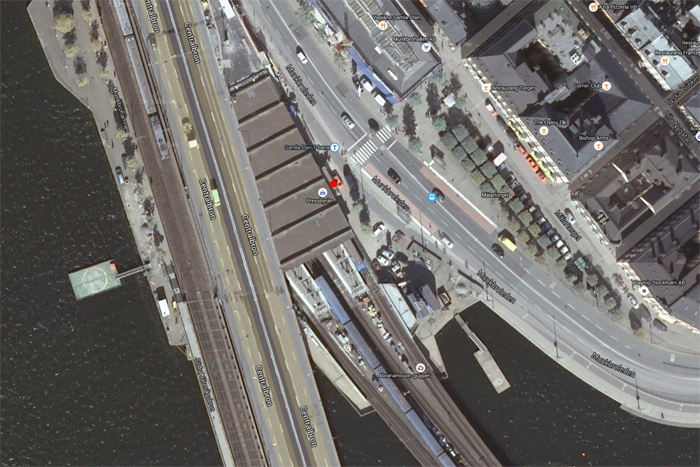 Vernissage Tuesday 24 June 2014, 18.00–20.00. Welcome! На следующей неделе показываю свою новую работу "Когда воображение атрофируется у всех, никому не захочется переделывать мир #3" по адресу Cigarrvägen 13 в Стокгольме. Вернисаж во вторник 24 июня, 18.00–20.00. Добро пожаловать! Сегодня мне сообщили, что я был выбран для участия в портфолио ревью Photonic Moments 2014, которое пройдет в Любляне, Словения. На протяжении двух интенсивных дней в июне мне предстоят встречи с международной командой кураторов, директоров фестивалей, фоторедакторов, владельцев галерей и издателей. Все они будут оценивать мою работу в формате 20-минутных индивидуальных встреч. Last week of June I will be showing my new work With Everyone's Imagination Atrophied No One Will Ever Be a Threat to the World #3 at Cigarrvägen 13 in Stockholm. Details are to follow. В последнюю неделю июня буду показывать свою новую работу "Когда воображение атрофируется у всех, никому не захочется переделывать мир #3" в Стокгольме по адресу Cigarrvägen 13. Подробности последуют. my #thefirstthingiseewheniwakeup project is now available via Konst-ig, the largest independent art bookseller in Scandinavia. If you're in Stockholm, please drop by: Åsögatan 124. Limited edition of 99 copies, each is numbered by the artist. в Стокгольме, заходите: Åsögatan 124. Ограниченный тираж 99 экземпляров, каждый пронумерован художником. When a man is asleep, he has in a circle round him the chain of the hours, the sequence of the years, the order of the heavenly host. Instinctively, when he awakes, he looks to these, and in an instant reads off his own position on the earth’s surface and the amount of time that has elapsed during his slumbers; but this ordered procession is apt to grow confused, and to break its ranks. My new project is in its final state, updates are to follow soon! t-shirt and asked me if we could swap our works. 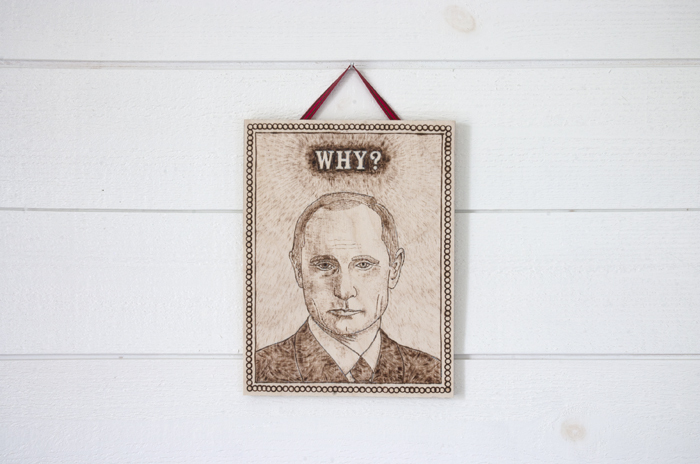 This week I received his piece - this lovely pyrography (wood burning) artwork. In spite of the fact that we have different backgrounds, work with different themes and in different techniques - and even speak different languages - I think a dialogue between two artists on a subject that we both find important has just happened. Click here to see Richard's website. Некоторое время назад шведский художник Ричард Юханссон увидел мою футболку, посвященную Играм в Сочи, и спросил, можем ли мы обменяться работами. На этой неделе я получил его произведение - это прекрасное изображение, выполненное при помощи техники пирографии (выжигания по дереву). Несмотря на то, что у нас в Ричардом разная подготовка, мы работаем с разными темами и в разных техниках - и даже говорим на разных языках - думаю, диалог между двумя художниками на тему, которую мы оба считаем важной, состоялся. Нажмите здесь, чтобы перейти на сайт Ричарда. I believe that putting art in the galleries is not the only way to ’deliver’ it to its potential audience. 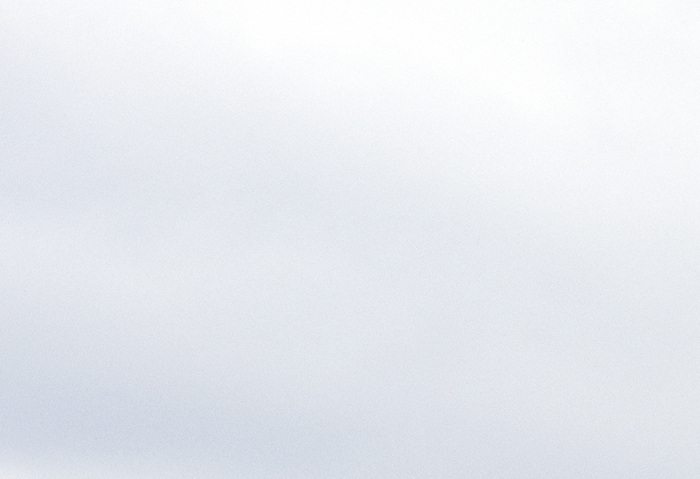 I had this photograph from an ongoing project printed on a postcard and sent it to my friends, colleagues and collectors asking to reply with one word: what do they see on it? The variety of responses surprised me. I was also pleased to the see that my respondents thought about the image, about its meaning. What else an artist can wish for! Postcard 10 by 15 cm, edition of 30. Signed by the artist and sent by post. Я считаю, что выставление искусства в галереях – не единственный способ «донесения» его до потенциальной аудитории. Я напечатал эту фотографию из своего текущего проекта в виде открытки и отправил ее своим друзьям, коллегам и коллекционерам, попросив их ответить одним словом: что они на ней видят? Разнообразие ответов меня удивило. Я был также рад тому, что мои респонденты задумались об этом изображении, о его значении. Чего еще может желать художник! Открытка 10 на 15 см, тираж 30 экземпляров. Подписана художником и отправлена по почте. I am not against sports and I sincerely admire the achivements of professional athletes (in fact I was about to choose a career of a professional athlete in the past). I am against the fact that the Games are hosted by the country where some basic human rights are violated. I think it's important to remember it - and even the quietest voice reminding about it should be heard. Я не против спорта и искренне преклоняюсь перед достижениями профессиональных спортсменов (в какой-то момент я даже готов был выбрать карьеру профессионального атлета). Я против того, что Игры проходят в стране, где нарушаются базовые права человека. Считаю, что об этом важно помнить - и даже самый тихий голос, напоминающий об этом, должен быть услышан. Photo by Francisco Vilaplana. Фотография Франциско Вилапланы. First snapshot of the new t-shirt with my drawing. 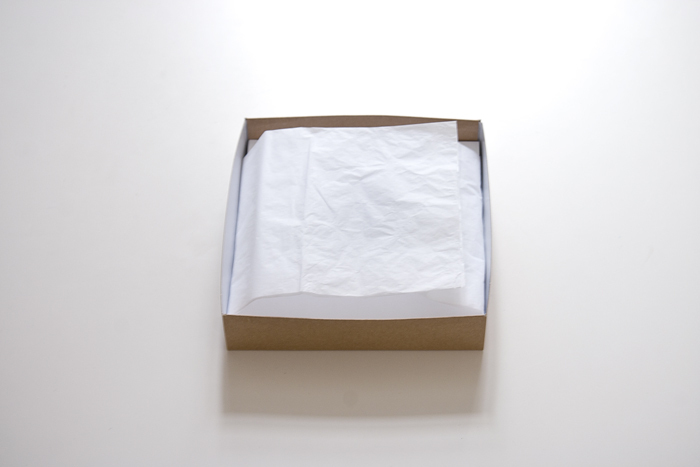 Edition of 25, each t-shirt is numbered by the artist. 100% cotton, all sizes are available. Первый снимок новой футболки с моим рисунком. Тираж 25 экземпляров, каждая пронумерована художником. 100% хлопок, в наличии - все размеры. 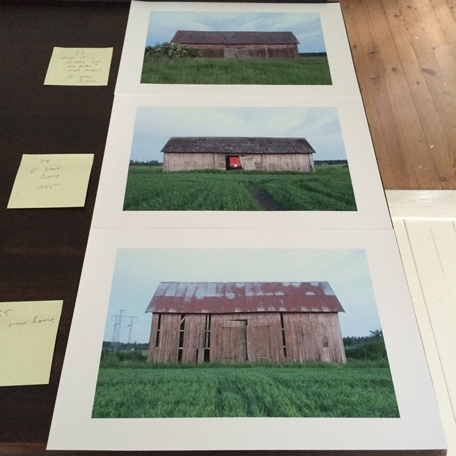 This week I received this snapshot of my print that entered a private Swedish collection earlier this year. Feels amazing when I see that there is an interest to my work among different audiences. 2 prints from this edition are available. На этой неделе получил этот снимок моей фотографии, которая ранее стала частью частной коллекции в Швеции. Очень рад тому, что интерес к моей работе есть у самой разной публики. В наличии - 2 экземпляра из этого тиража. I'm working on a plot of Valls hage soundwalk this week, adding elements, binding them, separating them, seeing how they work. 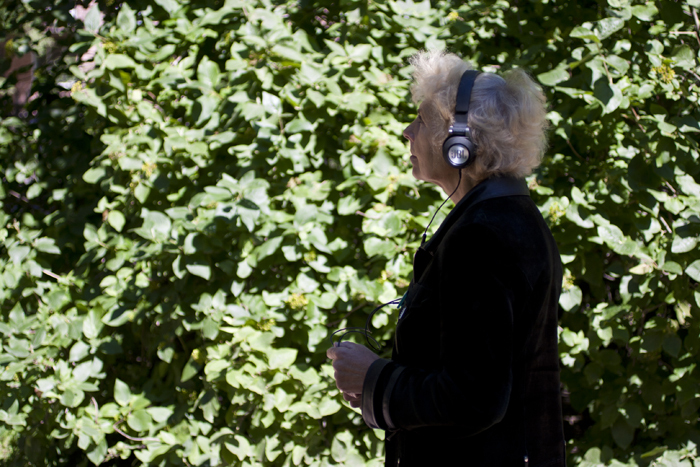 Janet Cardiff comes to my mind, a truly inspiring artist. 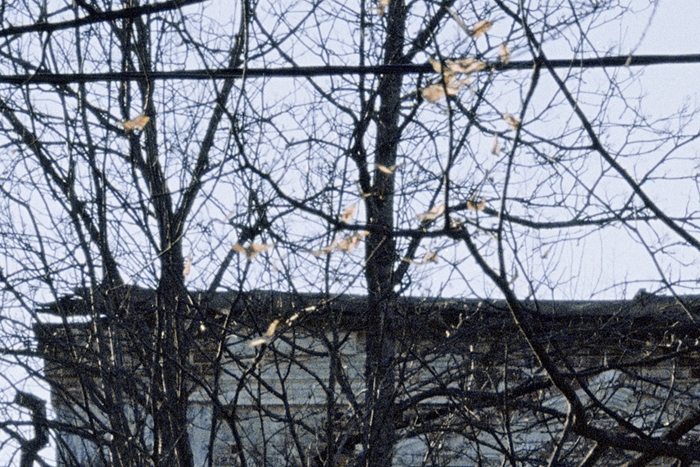 See a clip from her Ghost Machine video walk. На этой неделе работаю над фабулой "аудиопрогулки" по Валльс хаге, добавляю элементы, связываю их, разъединяю, наблюдаю за тем, как они функционируют. На ум приходит Джэнет Кардифф, художник, который меня по-настоящему вдохновляет. Посмотрите клип из ее "видеопрогулки" под названием Ghost Machine. Started a new project last week, while I was on a short trip in Moscow. Here you can see the first photograph, quickly scanned and retouched. На прошлой неделе, во время короткой поездки в Москву, начал новый проект. Здесь вы видите первую фотографию, по-быстрому отсканированную и отретушированную. "What the hell, now everyone is given a gay label, it is going to be worse than Fashism. I can already see paramilitaries with the rainbow armbands marching in thongs and on high heels". "Какой ужас, сейчас всем стараются навязать гей-ярлыки, это круче фашизму будет, я уже вижу штурмовиков с радужными повязками, марширующих в стрингах и каблуках". Photo by Per Levander, Maskot. Фотография Пера Левандера, Maskot. I think that in the current circumstances one is not only allowed, but actually should contribute to "gay propaganda". This is why I participated in this shoot for Maskot, the leading producer of Swedish royalty free images. Думаю, что в сложившихся обстоятельствах не только можно, но и нужно способствовать "гей-пропаганде". Именно поэтому я принял участие в этой съемке для Maskot, ведущего шведского агентства, специализурующегося на royalty-free фотографиях. Drawing by Anastasia Leonova. Рисунок Анастасии Леоновой. I cannot be silent. Next year Russia is to host the Olympic Games. Meanwhile some basic human rights are violated in this country. See, for example, a recent law against "gay propaganda", which makes me a second class person. 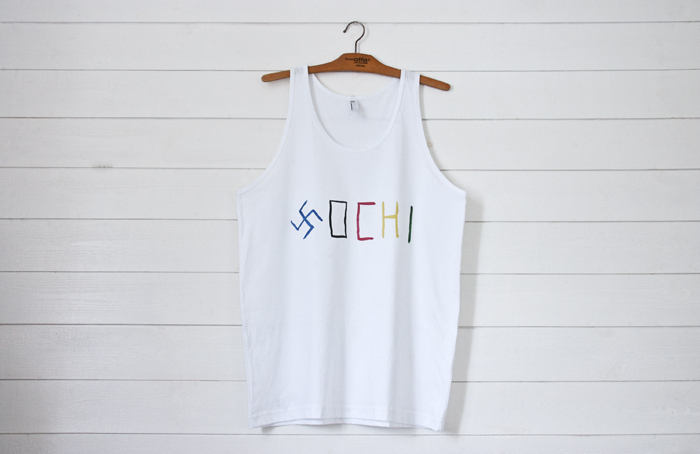 This is why I will boycott Sochi games. Не могу молчать. В следующем году Россия должна стать хозяйкой Олимпийских игр. Тем временем в стране грубо нарушаются базовые права человека - взять, к примеру, недавний закон против "гей-пропаганды", который делает меня человеком второго сорта. Вот почему я буду бойкотировать игры в Сочи. I am developing Valls Hage soundwalk, fragments of which I presented at Gävle Konstcentrum last year (part of Hej Gävle group exhibition). 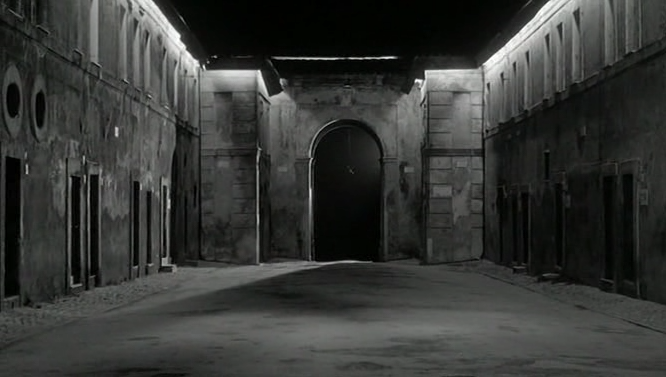 I am writing the script and this scene from David Lynch’s Lost Highway comes to my mind. Fears we face when we least expect them, a surrealist clash of “reality” and dreams (or twisted reality?) and well, some magic achieved by simple means – it’s all there.